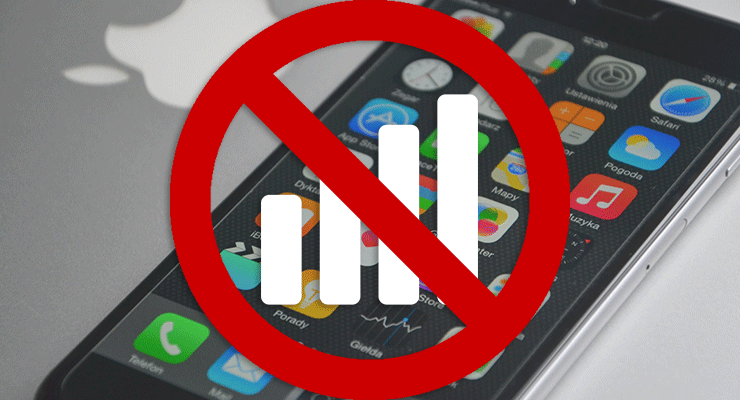 Sometimes your cellular data will stop working on your iPhone or iPad. Of course, you might just be in a bad coverage area. But assuming this is not the case, there are a few things we can do that will often fix cellular data problems on your iPhone or iPad. If you contact the Genius Bar or your cell carrier to fix cellular data problems, the first thing you’ll hear is “Have you tried turning it off and on again?” Restarting is frequently recommended because it works so well. Make sure you give it a shot before attempting anything else. 1. Hold down the power button (side button) until the “Slide to Power Off” slider appears. 2. Drag the slider to the right. 3. Wait for your device to shut down completely. 4. Hold the side button to turn your device back on. 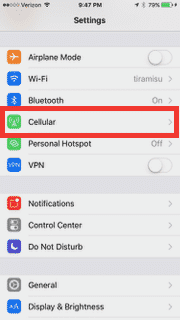 If, for some reason, your iPhone or iPad has gotten confused, toggling cellular data on and off can “reset” the connection and fix cellular data. This toggle will often fix cellular data problems, especially if your device is “stuck” on a slower 3G or 1x band. 1. Open Command Center by swiping up from the bottom of your home screen. 2. Press the airplane mode icon. 3. Wait a few moments for the iPhone’s connectivity to be disabled. 4. Tap the airplane mode icon again. 5. Wait a few moments for the device to reconnect. 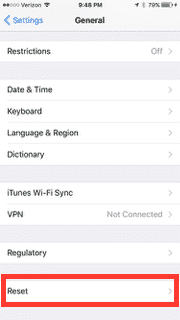 It’s possible that your cellular data was disabled, either by an app or accidentally. We can check that out in the Settings app. 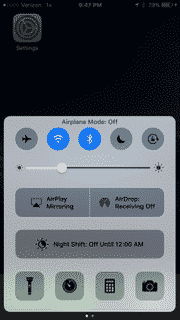 You can also use this same screen to toggle your cellular data to try and reset the connection more selectively than airplane mode. 2. Tap the “Cellular” menu option. 3. 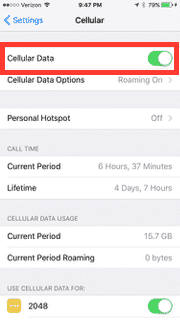 Make sure the toggle labelled “Cellular Data” is green. If cellular data stubbornly refuses to cooperate, we may need to reset the network settings completely. 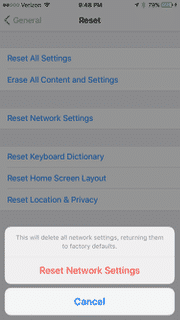 This will wipe out any saved networking settings, resetting your cellular data settings to their defaults. It will also remove any saved Wi-Fi settings, so make sure you know all your passwords. This is a moderately aggressive solution, but it can fix cellular data problems, even if they’re persistent. 2. Scroll down and tap the “General” menu option. 3. Scroll to the bottom and tap the “Reset” menu option. 4. Choose “Reset Network Settings” in the middle of the screen. 5. 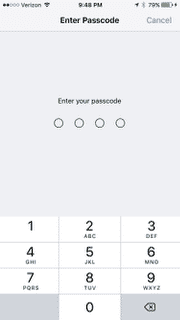 Enter your iPhone or iPad’s passcode to authorize the reset. 6. 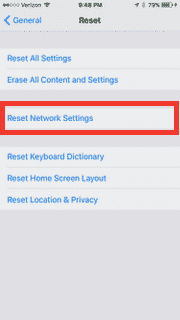 Tap “Reset Network Settings” to confirm the reset. 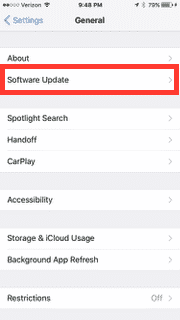 If you’re suffering from a genuine bug, you might find relief in a carrier update. These are issued infrequently, and you’ll typically get a notification when a new one is available. It’s worth checking for an update manually anyway. 3. Tap the “About” menu option. If there’s no carrier update, there might be an updated version of iOS. While updates sometimes cause cellular data problems, they can also fix them. We can check for an iOS update near the carrier update. 4. If an update is available, install the update. Your phone will restart during this process. For the most stubborn problems, you might want to try restoring your iPhone. You’ll need to make a backup of your device first to ensure you don’t lose any data. 1. Connect your iPhone or iPad to a computer and create an iTunes backup of your device. Make sure you create an encrypted backup. Only encrypted backups will store Health and Keychain data. 2. Once the backup is complete, click the “Restore Backup” button to begin the restoration process. 3. When the restoration completes, check to see if your data works better. 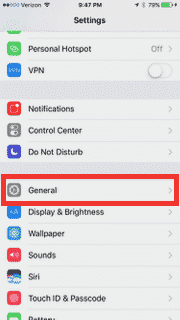 Optionally, you could leave the phone in its “like new” state, which might have removed an app or service that was messing up your cellular data. If you want to do that, make a backup anyway: you might regret it if you don’t. 4. 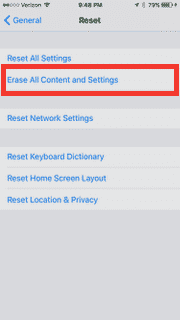 Tap “Erase All Content and Settings” to completely wipe your iPhone. 5. Enter your pass code to authorize the operation. 6. Tap “Erase iPhone” to confirm. This will completely erase all the data on your phone, and is not reversible. You can fix cellular data with the above options in many different cases. They’re fairly general, but broadly effective. Of course, if you have hardware problems, software solutions won’t fix it. In that case you’ll need to get the device replaced. If you’ve tried these problems and continue to have issues, definitely seek support from your cellular carrier.